Books are one of the best tools for training and nurturing a child. A book enlarges a child’s world, beguile him and help in the overall development. Reading enhances the creativity and imagination of a child. He begins to think out of the box and by just inculcating the habit, the child develops the jest to learn and discover new things. Research has proved that reading habits can enrich a child’s life, sharpen their mind, and bring fulfillment. They have enough academic reading to do for school, apart from the other distractions such as television and computer, which leaves the child with no time, or patience, for reading. Despite all these, one must not forget the various benefits of the habit compared to how difficult it is to inculcate it. The first step in habituating your kid and yourself is to stock your house with all kinds of books. But remember to sort the collection based on your child’s age. For example: Picture books for babies and toddlers. Stack in novels, books, magazines, comics and newspapers. If there are is no material around how is the kid supposed to read? Begin the journey of your child’s reading with picturesque books that they will enjoy reading, or referring to. Make sure the books you get them keeps them engaged and can be finished in small reading sessions. Start with Tinkle, Pictionary, etc. Make baby steps but make sure, the steps are effective enough to attract the child’s focus to the magical world of reading. Children often tend to imitate their parents. If you’re glued to TV yourself, your child is hardly going to pay attention to books. But if they see you curled up on the sofa, absorbed in a book, often enough, they’re likely to try it themselves. Read the books along with them, by doing so, your child doesn’t feel left out and will enjoy doing it. The secret is to be patient. 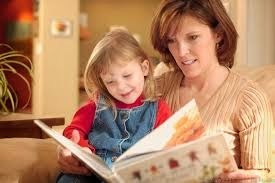 Pick a book with picture and text and discuss it with your child, the characters, the incidents and the take from the book. Take turns in reading and read aloud. 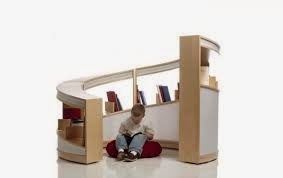 This improves concentration, spoken language and the child is motivated. Let them know what you are reading, give them the information of the book, you will be surprised to know how well they remember such tiny things. What’s important is that your children read, not how they read. Focus on helping your child discover the joy of the written word. Falling in love with books will happen naturally once they develop the habit. Face it, no matter how much you want it, there’s a chance your kids might not care about your favorite authors or what you consider ‘good reading’. Accept their interests and get them books on subjects of their interests. Show and let your child enjoy the excitement about purchasing a new book. Also gift them books for every small achievement. Pack it beautifully and every time you gift a book, increase the standard and number. 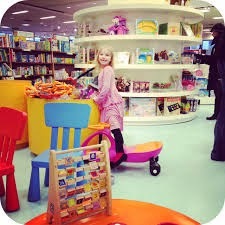 The motivation must be in such a way that the child strives to excel in things for her love to read new books. 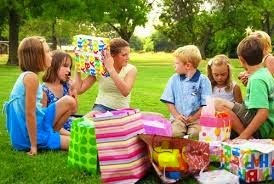 This makes the child perform better in academic, extra-curricular activities and also you gift them with a good habit for life.